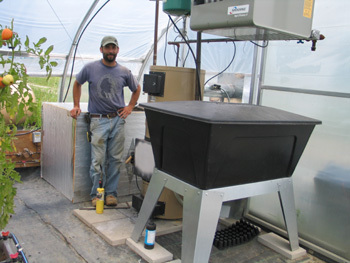 Case studies of greenhouse growers and other farmers using alternative energy for heating in greenhouses and running equipment have been posted by UVM Extension at: On-Farm Energy Case Studies. 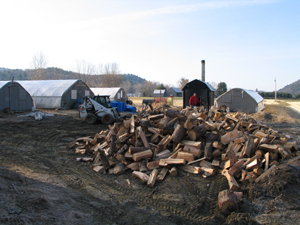 The case studies describe systems that use biodiesel, coal, log wood, shell corn, waste vegetable oil, waste wood chips,and wood pellets to heat greenhouses. In addition, there are links to case studies of on-farm biodiesel production. Greenhouse Energy Case Study: Chena Hot Springs. University of Alaska.